75 years later, Elizabeth “Ma” Sonier’s legacy thrives on the same scenic scout reservation she picked out in March of 1946. The clothing may be different and the hairstyles a little bit funny, but in each of our old photos we see musicians just like us, dedicated to continuing Ma’s mission. Much of our current Senior Staff only knows Ma from stories and pictures, but her strength and love are qualities that have resonated powerfully through generations. We are honored to have the responsibility of keeping her dream alive, and to share it with a new generation each year. “Having accomplished that little bit, we sat there on our last morning together, storing up in our memories the beauty of the scene before us. The lapping of the lake seemed to say, "All is well." A cool breeze tossed the waves, which gurgled under the abandoned raft near the pink laurel bushes. Across the lake, pine trees stretched skyward from a rocky cliff. On our own shore birds echoed back and forth in the gently rustling birches. Then and there we decided that, look where we might, we could not find a more beautiful spot … in which to establish an annual summer music camp. 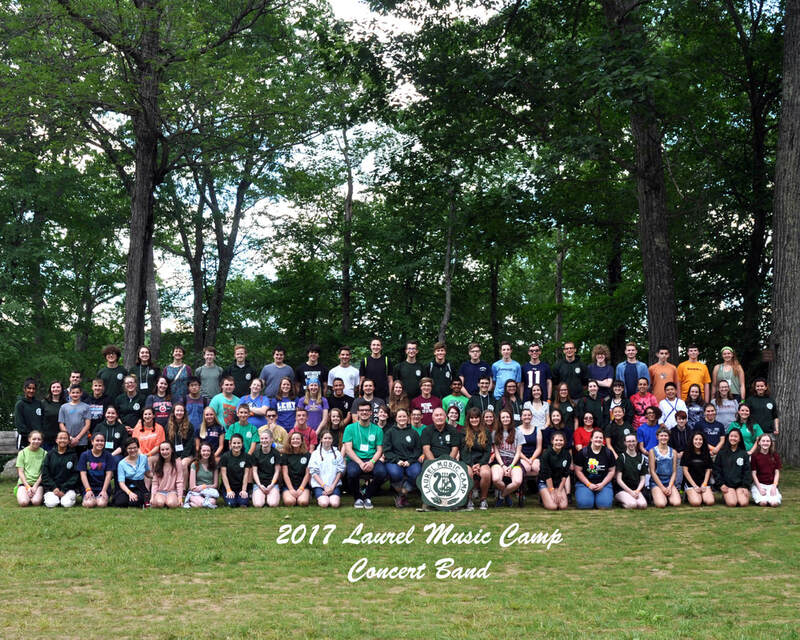 Nor could we find a more appropriate name than the "Laurel Music Camp." A local resident, Walter Davey, had heard the students rehearsing, and would row his boat across the lake to listen - Davey was an active Scout leader. 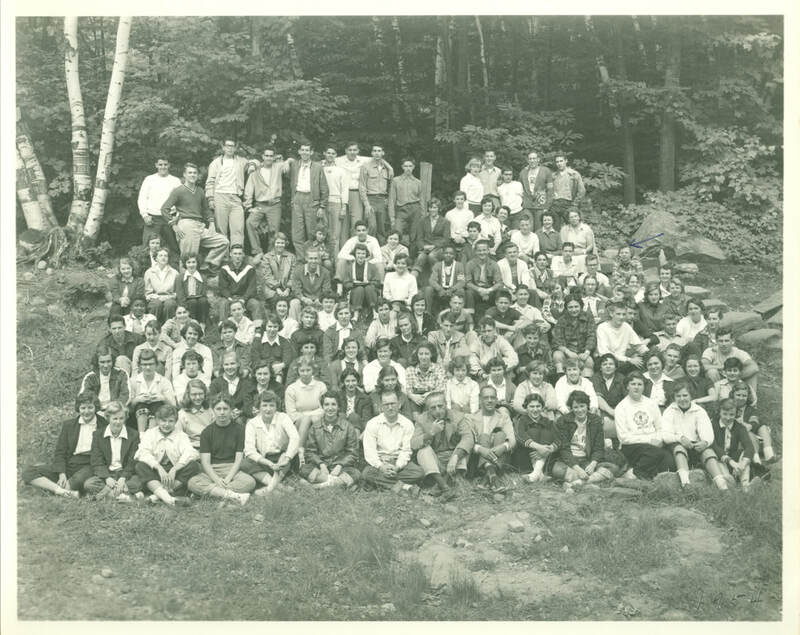 In March of 1946, Davey and Sonier gathered with lead Scout Council members Prosper Lavieri and Merle Hildreth, along with Connecticut Music Educator Association officers G. Albert Pearson and Doris Raynor at the Workcoeman Boy Scout Reservation. This would be the new home for Sonier’s dream. New History in the making! Check out our Instagram feed for LMC history as it's made!